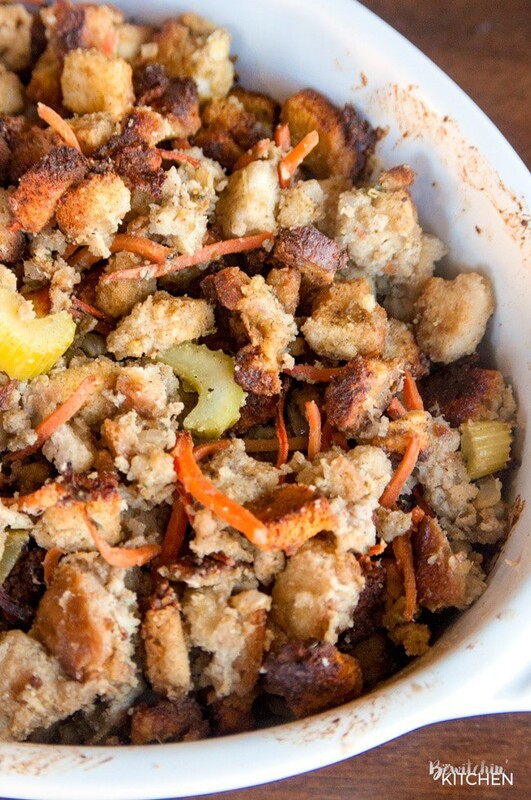 This is my family’s homemade stuffing recipe. 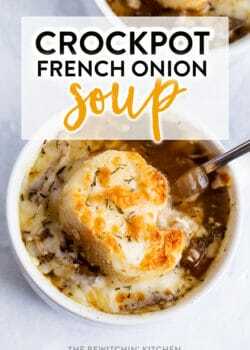 It’s a super easy recipe, that takes very little time to prepare so you can get to the more important things over the holiday (like visiting with your loved ones). Growing up my mom and my grandma made the same recipe for homemade stuffing. So you know what? I have only ever had turkey stuffing recipe. If it wasn’t the homemade stuffing, it was Stove Top. I have never tried anything else (I think I should start exploring, don’t you?). Want a good holiday feast tip? I find it best to prepare the stuffing recipe the day ahead, that way you just need to stuff and go. There is nothing worse than having to prepare a bunch of food on the day of turkey dinner. It helps to be prepared, and makes it easier on you as the host! This recipe makes a lot. There is enough to stuff the turkey and cook in a separate pan at 350 for (about) an hour. As I stated earlier, this is my grandma’s turkey stuffing recipe. I’m excited to share with you how she made it. ** I am aware that the point of homemade stuffing is so you don’t need to purchase boxed stuffing. My grandma always added it in, so I did too. Feel free to leave it out if need be. If you don’t know how to roast a turkey, please check out how to cook a turkey, you’ll be a pro by the end of the tutorial. If you’re like me and learn best by visual cues: I made the above video for you. 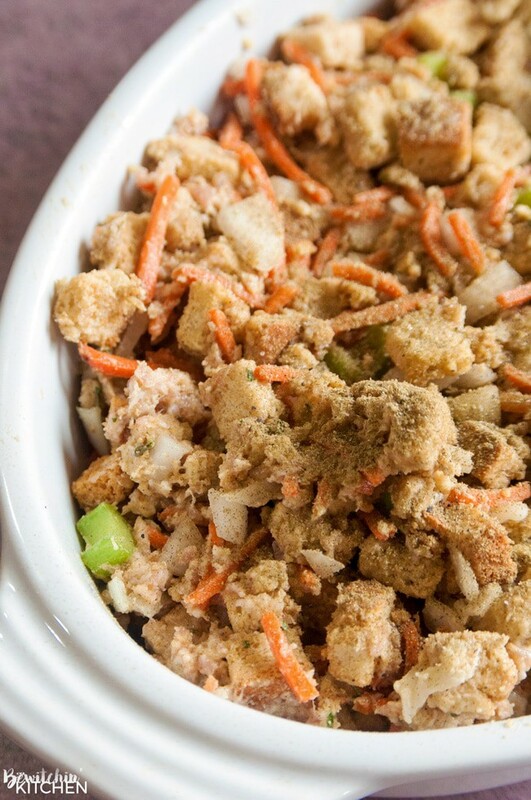 Join me in my kitchen as I share my family’s classic stuffing recipe in real time. My friend Tara from Noshing with The Nolands also has these amazing Thanksgiving side dishes for you too. Leave me a comment letting me you what your favorite side dish was growing up. 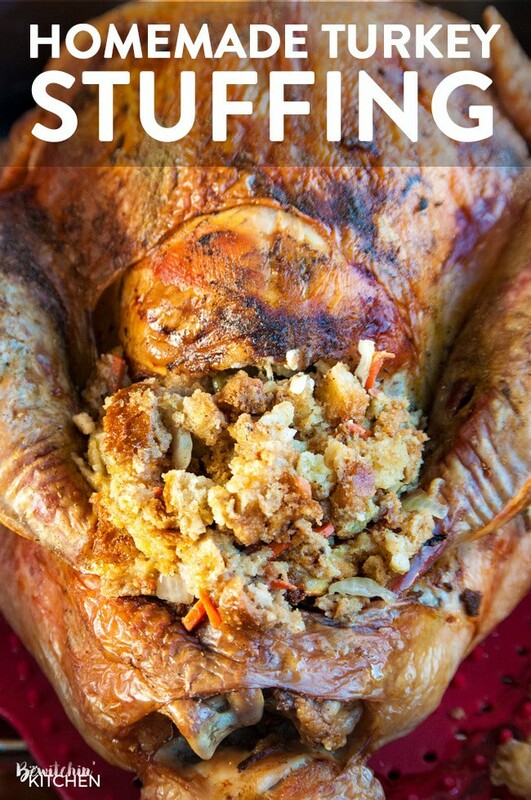 [mv_create key=”7″ type=”recipe” title=”Homemade Stuffing Recipe” thumbnail=”https://www.thebewitchinkitchen.com/wp-content/uploads/2009/10/homemade-stuffing-TURKEY.jpg”]It is delicious! I promise you! Have a Happy Thanksgiving, Merry Christmas or just a happy Sunday! 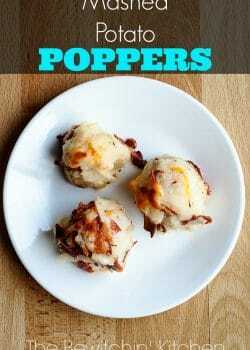 If you like this recipe, then please share it with your friends. I even made this image that’s perfect for Pinterest. Don’t forget to share with me your family traditions in the comments. What do you do on Christmas? Turkey? Ham? Something totally different? 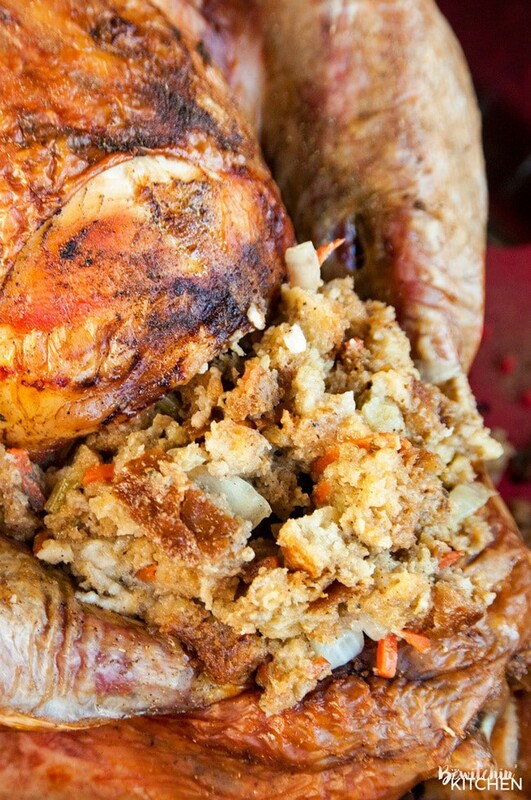 My family's classic homemade stuffing recipe. Looking on how to make homemade turkey stuffing? It's a classic at Thanksgiving dinner, Christmas dinner, and Easter dinner. 1 tbsp Poultry seasoning I eyeball this. I usually add it until it smells just right. You'll need either one big bowl, or two medium bowls to mix this together. Add all of the ingredients together and mix well (I find it's best to get in with your hands, it helps mix the pork up). 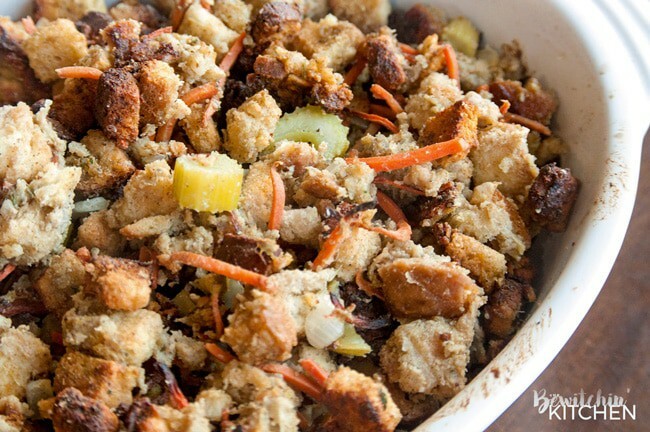 Reserve the amount of stuffing that you will use to stuff the turkey. Put in a baking dish and bake at 350F for one hour. At the half hour mark, take out and give a stir. I couldn’t find frozen pork sausage so I just bought the roll of regular pork sausage. Will that be OK u think. I’m not sure, to be honest, I’ve never seen a roll of regular pork sausage. It should be fine! Jimmy Dean Tennessee Pride or Bob Evans is in every supermarket I have ever shopped. It will be either frozen or refridgerated. Swagerety is another good rolled saucage that is carried by Sam’s Club and Piggly-Wiggly. Thank you for sharing this! Yes, usually the kind I buy is in the freezer section. 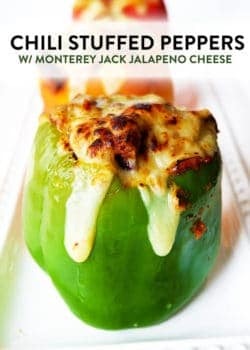 my friend taste this recipe, it really awesome and tasty and I will definitely try this.yummyyy………. I think the stuffing is my favorite Thanksgiving dish. Pinning your recipe! Thank you for linking up with us at the #HomeMattersParty this week. We always make 2 dressings at Thanksgiving. The Yankee dressing listed above and Cornbread dressing for my wife’s side of the family. Either one is great but we triple the celery for both. My grandma said once you think you have plenty of celery, add more! 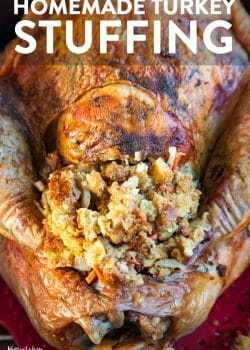 We stopped making stuffing as it was hit or miss on whether it would get done and if it is packed to tight it slows down the roasting of the turkey. I’ve never had cornbread dressing before! I would like to try this recipe, but I don’t know what “cubed bread crumbs” are. I know what breadcrumbs are and I know what cubed bread is but what are cubed bread crumbs? Also, the recipe calls for a box of stovetop. I’m assuming that this is Stovetop Stuffing, but can you tell me which type of Stovetop Stuffing? Thanks a million! 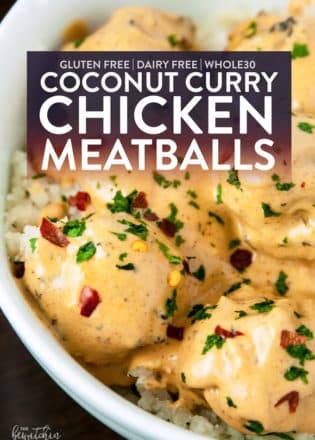 I’m looking forward to trying this recipe. Hey Fran, cubed breadcrumbs are chunks of dried bread (in cubes). Kind of like croutons. The video will show it. Any box of Stovetop Stuffing works! I usually buy chicken for turkey (I know it’s weird, but it’s just what I do lol). Thank you for the information! 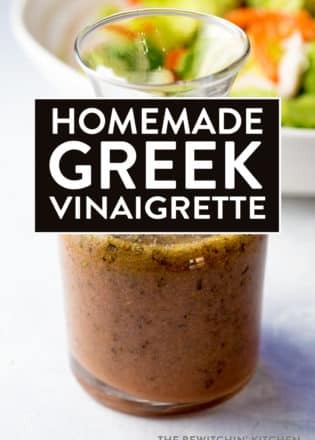 I’m looking forward to trying this recipe. Hey Tabitha, no you don’t. I’m such a chicken (haha) when it comes to making stuffing. I think I can do this! You’ll like this one Kyla. It’s been a family recipe for two generations.